All manner of things and experiences, some more obvious than others, can shape how you view money. In this instance, I wanted to delve into the subject of video games and how they may have impacted the way I spend and save. I’ve played video games for as long as I can remember. One of my earliest memories is playing Sonic the Hedgehog on the Sega Mega Drive with my brothers. They are a defining part of my childhood, and of my life in general, and have certainly helped to shape who I am as a person. 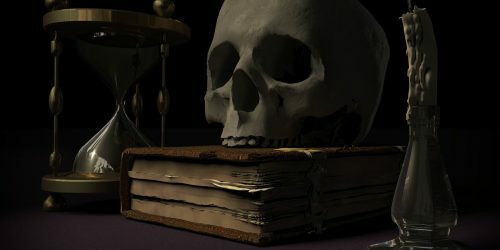 For any non-gaming readers out there, RPGs, or role-playing games, are a genre of video games that have their origins in tabletop games like Dungeons and Dragons. You control a character (or several) and follow their story from beginning to end. Along the way you typically have to travel across the world, fighting enemies, buying or discovering new and more powerful equipment, all the while getting stronger and stronger until you come to the end of the story and fight the big bad boss. Think the Lord of the Rings trilogy, only you actually get to control Frodo or Aragorn rather than simply watching their journey unfold. In most RPGs, the main way to make money is to wander the fields/caves near a given town, fighting monsters and picking up the money that they drop (no one said these games had to make sense). You can then use this to buy stronger weapons and armour, allowing you to move on to the next town which inevitably has even stronger gear and even more deadly local monsters. The process then repeats itself until you’ve saved the world. I always approached these games as a chronic hoarder. I’d refuse to spend any money for as long as possible, making the most of the equipment I had. Then, when things finally got too difficult and the enemies had become impossible to defeat, I had more than enough money to buy the strongest weapons and start smashing everything in my path! Strangely enough, this is how I’ve treated money from an early age (with the exception of buying oversized swords and attacking local wildlife – that’s reserved explicitly for virtual life!). Even when I was younger, I would hoard money, both in real life and in video games, saving for some unknown thing in the future, occasionally relinquishing some to buy a game that I would then savour for months. Of course, now that I’m older things have changed. I have obligations to pay for (rent, bills, food), and a video game that at one point might have cost several months worth of pocket money now simply requires me to work for about 2 hours; as a result, hoarding every penny that comes my way is no longer realistic. However, I still make sure to set aside a portion of each income for the future. This can also be used to highlight the importance of an emergency fund, and having some money set aside to cover yourself when things start to go wrong. The game would have been much less fun if I was being repeatedly killed by the latest boss monster and had no money to improve my gear. 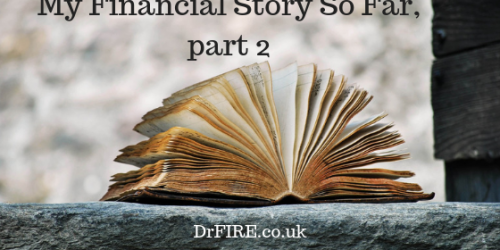 Likewise, life becomes a lot less fun if an unexpected expense comes your way and you find yourself struggling to find £500 without going into debt. 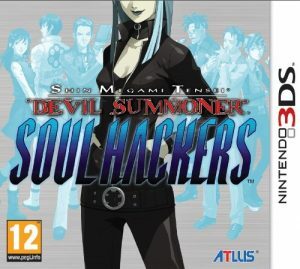 Staying on the topic of RPGs, the concept of working hard now to enjoy the easy life later is exemplified (somewhat) by this game, Shin Megami Tensei: Soul Hackers. The game itself is a standard (albeit, very obscure) RPG, as described above. After the first couple of hours, you come across a casino. This casino houses some of the most powerful weapons in the game. The problem is that they cost an obscene amount of money, especially at this early stage of the game. 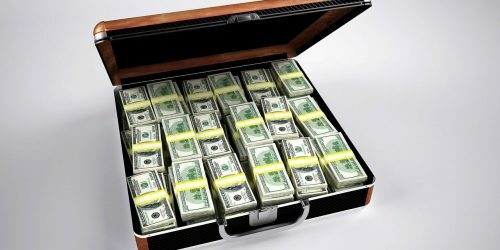 However, with a little bit of persistence, and about 2-3 hours of grinding the casino and amassing more and more money, you can afford several of these weapons, which make the rest of the game a breeze. This is true of most ‘passive income’ ideas, and I believe is a key message from Tim Ferriss’ ‘The 4-Hour Work Week‘ and other similar books. Put in the hard work up front, and reap the rewards later. Sadly the analogy falls apart somewhat when you realise that you can’t save and reload life, like you can in a video game. It’s much easier to place all your money on red when you can just reload to 5 minutes ago if you’re wrong! 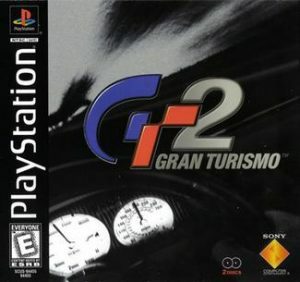 I remember playing Gran Turismo 2 on the original PlayStation and pouring hours into it. You start off with maybe $10,000. With this, you need to buy a car and start competing in races. You slowly earn more money as you win, allowing you to upgrade your car and start to buy new ones, allowing you to the compete in even harder, more lucrative races. By the time I had moved on from the game, I was practically a millionaire, earning several hundred thousand dollars per win and owned all manner of ridiculous cars, like a Toyota GT-ONE or a Ford GT40. A few years later, I bought Gran Turismo 3 for the PlayStation 2, expecting it to last me another six months. However, I had found some cheat codes online and couldn’t resist using one to give myself the maximum amount of money allowed in the game. I immediately bought the most expensive car, competed in a handful of races and then… stopped playing. I was already a billionaire, so the motivation to play the game had disappeared, compared to Gran Turismo 2 where I was motivated to keep on improving and always had something else to work towards. There are a few life lessons here. Firstly, cheating isn’t (usually) fun. Secondly, there’s fun and satisfaction to be had in working your way up from the bottom to the top. The best real life analogy I have for this at the moment is probably my PhD. It took four very long, very difficult, years of hard work, sometimes taking one step forward and then two steps back. I often felt like I was bashing my head against a brick wall. It is probably the most difficult thing I’ve done (and made moving to Asia for two years afterwards pretty easy), and the sense of satisfaction I had when I successfully finished and graduated is still unparalleled. 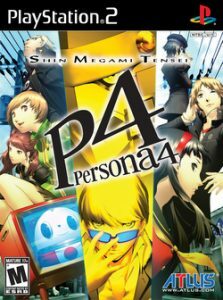 Persona 4 is a game that only the Japanese could produce. Set in a high school, you spend half your time navigating school life: making friends, studying for tests, taking part in extracurricular activities, etc. The other half is spent trying to solve a murder mystery that soon evolves to you having to stop demons and their plan for a world-ending apocalypse. Despite this craziness, the best part of the game is probably planning the protagonist’s schedule. You only have a year of in-game time to solve the mystery, and in this time you also have to form ‘social-links’ (i.e. become friends) with a variety of people, as this ultimately leads to your demon allies (stay with me here) becoming even stronger, allowing you to more easily fight off the opposing monsters. Thankfully, we don’t have to worry about such things in real life! However, the game did highlight to me the importance of making the most of your time, setting aside specific blocks of time to achieve a particular goal. It also encouraged me to attend more sporting and social clubs at university, which lead to a much more active, social, confident Dr FIRE by the time I finished. The friends that I made during that time also helped me get through my PhD which, as I mentioned above, was not easy! OK. This is totally my jam! I love video games – interestingly for my FIRE journey the ones that I always loved were the resource collection/building ones like Settlers, Civilisation, Theme Hospital and so on. I loved the process of building something up patiently and then, like you, having a strong base from which to smash the rest of the game. The parallel with getting to FI has not been lost on me! I’ve played a few resource collection games, but not the ones that you mentioned. I’ve always been meaning to try Civilisation (I think I even own a copy of one of the versions on Steam! ), I’ve just never got around to it. Too many games to play and not enough time to play them all! 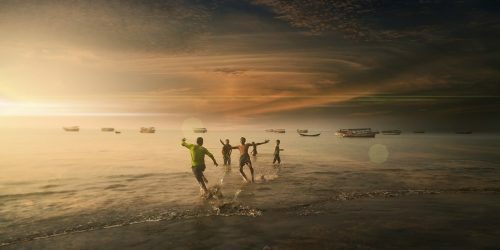 Love this post – I’m into my video games too but sadly, I can’t play them as often as I would like due to work, hence they feature quite high on list of hobbies to take up again when I have more free time! RPGs are my favourite (I was quite a serious WoW player until recently). Much like the ‘grinding’ in the casino you mention, there’s also ‘farming’ in RPGs, which could be likened to repetitive drudgery in work to get the money rolling in! And yes yes, to getting piles of gold to buy the best weapons! Also, the ‘entrepreneurship’ you can show if the game has an ingame auction-like facility – you research what sells well and just either produce a lot of those products/equipment/weapons or ‘farm’ the raw ingredients to sell to players who can’t be bothered to put the time in or don’t have time to do so. And agree, cheating is a no-no – no fun in that at all. Far better to get to the end result through sheer effort and persistence – sounds like the FIRE journey for most! I wasn’t averse to using add-ons to help out game-play but no cheat codes and I didn’t spend real money to buy in-game gold. Ahh, a fellow WoW player! I attribute most of my completionist nature to MMORPG’s, especially WoW. All I focused on in WoW was being the best player I could be. For raiding, that meant applying to hard-core raiding guilds that were literally like having a job, you’d have to be on 3 days a week for a few hours and fall under the whip of a rigorous raid leader. I’ve treated my real life career in a very similar way, I’m now at my 4th company from only a 5-year career. Looked down upon by some, but has allowed me to climb the ladder a lot faster. As you know, I was more into personal achievements, collecting titles, mounts and the like. Funny how you liken your guild-hopping with your RL career – I’ve never thought of it that way but in a way, it’s also true with me, I stuck with the company I worked for, for ages and I was only ever with one guild (ended up being guild leader at one point!). I’m glad I’m not the only video game fan in this community! It’s probably my favourite way to unwind after a stressful day/week or work. RPGs are probably my favourite genre of video games. It’s just a shame that they usually take 60+ hours to complete! Despite that, I’ve never really tried any MMORPGs like Warcraft. The fact that they essentially have no end point never really appealed to me. I much preferred to finish a game completely and then move on to the next one. I think I also resented the fact that you had to pay a subscription to play, and that you lost access to everything once you stopped paying! I have played several games with the option to use real money to speed your progression through the game, and it seems to be becoming increasingly common. Again, I just don’t see the point! Pay £50 for a game, pay another £50 to unlock everything, and then move on to the next? Whatever makes people happy, but as you said, working your way through the game and slowly improving is much more entertaining. Well the end-point of WoW could have been once you’d completed all the dungeons and end-game raids? I quite liked the fact that it was all pretty endless so you could just do what you wanted, with no pressure to get to a specific final goal. At one point, I was just aiming to accumulate goal so wasn’t really doing anything specific to progress in the game but it was still enjoyable playing! Yeah, the subscription was a pain but if I was ever to play (and pay) again, it would probably be paid for by my MB winnings or a Video Games fund so it wouldn’t feel so bad, haha! I love games, my degree is actually in game development and I’ve made a few indie games. I attribute games to most of my current success and the way I think today. It’s odd how similar people act on RPGs than they do in real life. I always went for making the most money and getting all of the high scores! Favorite PS4 games: Fanal Fantasy 6 and Harvest Moon. Harvest Moon can be linked so heavily into the FI/RE movement. You’d either go for the quick-growing, quick-profit seeds, or plant those seeds that will take a year to grow, but last you a lifetime! There was an indie dev who created a game called Stardew Valley that took a lot of the OG Harvest Moon elements and made it loads better, I’d recommend anyone to grab that game, it’s awesome! Wow, that’s awesome! Making a game is something that would be awesome to do one day, although I would need to actually learn how to program first. Were the games for Android/Apple, or on Steam? Final Fantasy 6 is a classic! And whilst I’ve never played Harvest Moon, I have played a few versions of Animal Crossing, which I believe has similar, albeit much more relaxed, gameplay. I’ve heard of Stardew Valley but, again, never got round to playing it. Maybe I’ll keep an eye out during the next Steam sale and see if I can pick it up! Stardew Valley is sooo good. I meant PS2, not PS4! Ahh, nothing big, only published on itch.io 🙂 An Android finance application is in the works, but never released a mobile game. And a Saving Ninja finance app would be cool to see in the future. Very interested to see what you would include! This post gave me a blast to the past!! I loved playing Sonic the Hedgehog, and of course some good old fighting games like Streetfighter and Tekken. As I said on Twitter, I loved Caesar III. You had to build a city and set up profitable industries, like wine and ceramics factories, and you had to tax the people – not too much otherwise they would riot and set fire to everything – but not too little or you’d have no money to expand. Wish I could get a hold of a copy now. Only £3.79 on GOG. If you haven’t heard of GOG before, I’ve bought plenty of games from them in the past, so I can vouch that they are legit. They’re very similar to Steam. From the way you described it, the game does sound very cool! I’ve played several Tekken games as well, they were a lot of fun. Not sure if the series is still going though. I don’t want to admit how many games I have across GOG and Steam that I haven’t even played once! All costing a few quid each, or maybe as part of a bundle of 10 for £5. All sounds great value, but then I end up not playing them in favour of something that cost me £40! Thankfully I’ve stopped doing that now. Better to just not even look at what deals they have on offer! If you are walking down an alley and not feeling too good – Just kick a dustbin and if you find a needle – inject yourself and feel instantly better! Ha! Sadly not everything translates from video games across to real life. Otherwise you could simply walk in unannounced to someone’s home and take everything that’s not nailed down! One of my early favorite video games was The Legend of Zelda. As a 6,7 or 8 year old, I realized that if I fought a lot of monsters EARLY in the game and saved carefully for the blue ring (which was very expensive) I could beat the first 5-6 dungeons with ease. That’s a nice analogy for how starting to save early in life makes the later stages of life so much easier. Thanks for the piece! If only we had cheat codes! Thanks for commenting Christopher! Legend of Zelda has a special place in my heart – Link’s Awakening on the Gameboy was one of my favourite games growing up, so I can definitely relate. I replayed it a few years ago and it still holds up! Cheat codes would be great, but alas, life is not a video game! Great post on video games and FiRE! 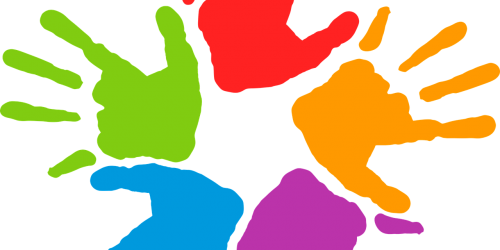 Just found you blog so enjoying the read, thanks for posting! Keep up the good work and you’ll get there! Hi Mark, thanks for commenting! Wise words about the games. Even now, some PS2/3/Gamecube games that could be had for £30 when they were released now go for £100+. Who knows how much some of these may be worth in the future! Glad to hear you’ve been enjoying the blog, and thanks for the positive words! Read this a couple of months ago and forgot to post a comment… I think it’s great fun to find things that have FIRE themes in the rest of the world. The Escape Artist has made a (to be fair a bit overdone) post series on songs so maybe you could keep doing a few more on video games!? I used to love RPGs as well and Final Fantasy 7 was the last one I played by myself, then was just a social gamer through Uni but my hey day was definitely in the 10-17 age era. I sold all my old SNES games about 6 years ago, got well over a grand for the whole lot! If I ever want to play them again you can get an emulator on a raspberry pi for about 40 quid I think haha. People are bonkers. That’s not a bad idea TFS, I may well turn this into a reoccurring series. I used up all the most obvious games (for me) already, so I will have to think up a few more examples before I write another one. Final Fantasy 7!! Now you are speaking my language. 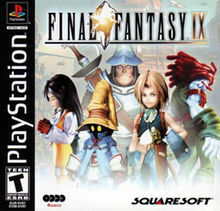 That was my first experience of a console RPG, and it blew my 11-year old mind. Looking back, it hasn’t aged too well, but it still holds a special place for me. Looks like you made the right call, £1,000 is certainly not small change, and nowadays most old games are getting re-released on the newer consoles. And failing that, as you say, you can simply just download most games on an emulator anyway. Games can be a great way to bond with your kid! I remember watching my Dad play games on the mega drive when I was really young, and then racing against him on Gran Turismo when I was older (and finally being able to beat him, ha!). “Looking back, it hasn’t aged too well, but it still holds a special place for me.” – One of my recent guilty pleasures is watching a guy playing this on YouTube (it’s called 4-8 productions if you are interested) and I have to admit it doesn’t seem like it’s aged at all to me. But as I say I haven’t really played any games since then, so maybe that is why haha! There are loads of mods out there for it and seeing as I haven’t got time to play them all (or any for that matter) it’s something I just stick on in the background at work instead of music to get me through the day. Mega geeky but I am a computer programmer so I don’t think people expect much else at work at least!